Here is your official reminder! 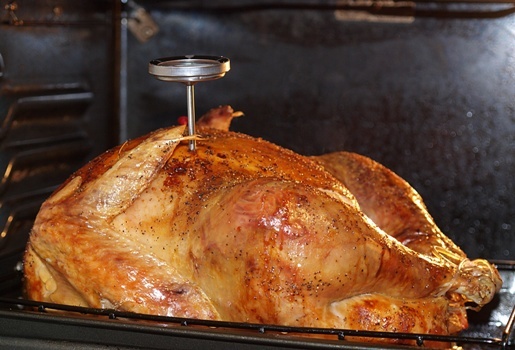 If you are cooking a Thanksgiving Turkey, be sure to pull it out and put it in the refrigerator to thaw today. It needs at least 24 hours to thaw, but probably more like 48. You might need to put it into a water bath tomorrow night if it is still frozen solid. For tips on water baths, read my Tips on Your Thanksgiving Turkey post. I’m going to thaw my turkey instead of unthaw it. Lol! I only say that because I know you’ve said that for some reason you always say unthaw when you mean thaw 😉 Happy Thanksgiving, Kelly! Thank you for all you do!!! Thanks for the reminder. Last night I was laying in bed and suddenly remembered that I hadn’t taken it out of the freezer yesterday like I planned. So I got out of my cozy warm bed and went out to the freezing cold garage. I hope my family appreciates my sacrifice, LOL. Just saw a code for free shipping at Ebates and now I can’t find it. Any ideas? you are NOT a dunce. both have the same accepted general meaning- ‘thaw’ is a word; however, ‘unthaw’ is what some call an unword (or an illogical negative). kind of like saying ‘irregardless’ instead of regardless- they are understood to mean the same thing but ‘irregardless’ is an unword. aren’t you so glad i weighed in on this? whatever you do to that turkey, however you do it, it will be delicious!